Can I change from a Medicare Advantage Plan to a Medicare Supplement Insurance Policy if I have Medical Conditions? We get a lot of referrals from Senior Living Communities who want us to assist their clients to change from a Medicare Advantage Plan to Medicare Supplement Plan. The reason is simple: Many doctors who travel to these facilities to see patients on site do not accept HMOs. They want their clients to have original Medicare parts A and B. The clients want to know: Can I change from a Medicare Advantage Plan to a Medicare Supplement Policy? Changing from a Medicare Advantage Plan to original Medicare is simple enough, but the financial planning side of me screams when I hear that someone has done this without assistance. Medicare Parts A and B do not cover everything…in fact if you are in the hospital for an extended period of time, you are opening yourself up to medical bills of potentially thousands of dollars, or even an unlimited amount depending on the amount of time you spend in the hospital. We guide our clients through the process of moving to original Medicare with another type of plan called a Medigap policy, or a Medicare Supplement Insurance Plan, if possible when they first move into the facility. What if it's not possible? 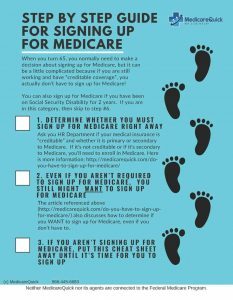 There are rules for Medicare, and we'll hold your hand to help you get what you need. Because Medicare Supplement Plans are medically underwritten, if you are in an assisted living facility, memory care facility, or nursing home facility, you might not be able to get one. Medically underwritten policies ask you questions about your health in order to exclude you from getting the policy. In case you are wondering…Yes, this is allowed under the affordable care act. You cannot be denied Medicare Parts A and B. You cannot be denied Medicare Advantage (MA or MAPD) plans unless you have end stage renal disease, but yes, you can be denied a Medicare Supplement Insurance Plan if you have a medical condition. That does not mean that it is impossible to get such a policy. There are rules that allow people with medical conditions to apply for a policy during a “guaranteed issue period”. However, this can be a fairly lengthy process, because you might not be able to get the policy right away. You may have to take some interim steps in order to wind up with the result that you want in the end, so you need to work with someone who has experience in this area, in the state that you are looking do make the change. We can help our California clients Change from a Medicare Advantage Plan to a Medicare Supplement Plan. Then they can see their mobile doctors. (The mobile doctors come to their communities). 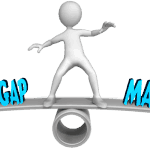 Or if you have any other reason that you would like to have a Medigap policy, we can help. Orr complete this form to schedule an appointment if you would like our help.